iSkysoft PDF to Word Converter for Mac is designed for you to convert Acrobat standard PDF files to editable Word documents on Mac (Including OS X 10.12 macOS Sierra and El Capitan). This PDF Converter can perform the file conversion at ultra fast speed and preserve the original file layout. After installing the program on your Mac, launch the program. Then you can directly drag and drop the PDF files to the main interface of the program. The files will be imported to the program. 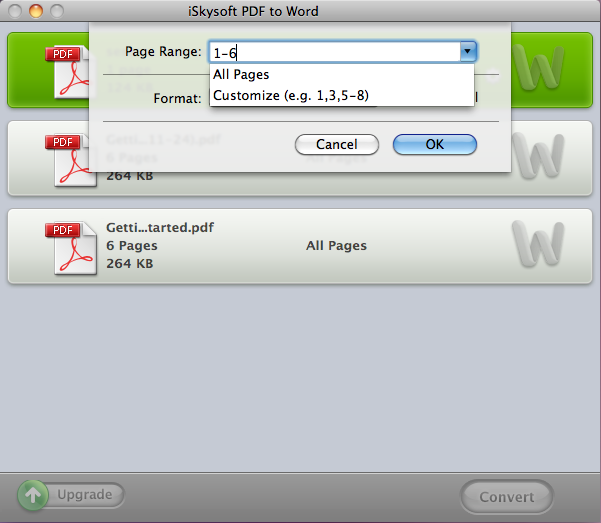 You are able to import up to 50 PDF files to iSkysoft PDF to Word for Mac at a time. Click on the PDF file in the file list to highlight it. You will see a gear icon on the right of the file list. Click on the icon to open the output settings window. Then you can specify the page range and select MS Office Word or Rich Text Format as output format. Lastly, click OK to confirm your settings. Now click Convert to start the PDF to Word conversion. 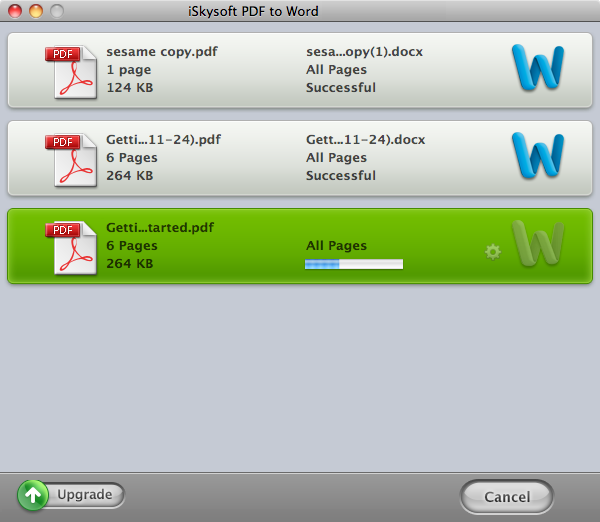 It will just take a few seconds for iSkysoft PDF to Word for Mac to process the conversion. After that, you can go to PDF to Word > Preferences > Destination to view the converted file. That's it. Easy and efficient!